Check out Archivist/Librarian Mike Klawitter’s Display display – Display Magazine, that is! Published by GRCC since 1964, Display Magazine, a magazine of the arts, features contributions by GRCC students in literature and the visual arts. 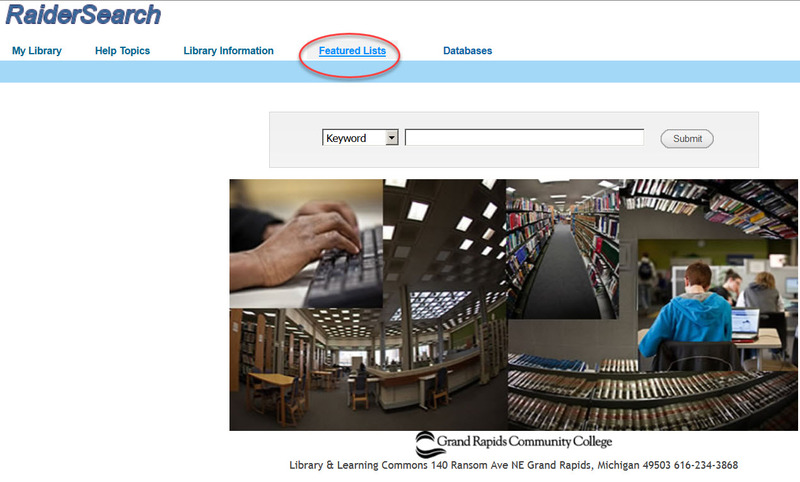 Display is available in GRCC’s Digital Archive, which Mike curates; you’ll want to take a look online! Comments Off on A Display Display? Faculty – contact your assigned library liaison for assistance with questions about using copyrighted materials in Blackboard, class handouts, or, in course packs. There are legal ways to avoid having to create expensive-to-print course packs. Acquaint yourself with the newest version of our Copyright Clearance Center‘s annual academic license – rebranded as RightFind! Connect on-campus via your IP connected computer, or, off-campus users can create a logon with your GRCC email address and any password you will remember. It’s now easier than ever to print out the CCC compliance information for your Blackboard Permissions folder, or for GRCC ePrint use. Librarian help: verify citations; determine a copyright owner; set up a Course Reserve; and, permalink licensed library resources into Blackboard. Please take a look at the Copyright Subject Guide. Are you upgrading your technology? Did you know that you can do so much more affordably with your GRCC email address? Grand Rapids Community College, in partnership with Microsoft, is pleased to announce that GRCC students, faculty, and staff are eligible to receive a personal license for Microsoft Office 365. Office 365 is a collection of services that allows you to collaborate and share schoolwork. The service includes online versions of Word, PowerPoint, Excel, and OneNote, plus a OneNote Class Notebook and 1TB of storage in OneDrive. This license is valid as long as you are a GRCC student or employee. See Microsoft Office 365 and select the [Student] or [Faculty] tab. 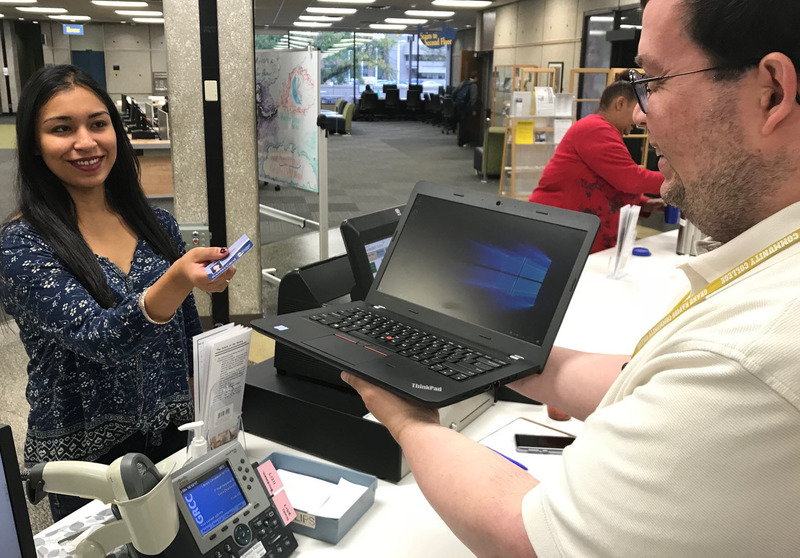 The Library & Learning Commons has 6 laptops available for GRCC students to checkout out free from the Library Circulation Desk. All laptops work anywhere on campus and can be checked out for 4-hour periods. This is great for taking notes in class, working on assignments, or studying in groups. Each laptop comes with a mouse, power adapter, and computer bag. A second location (Automated Kiosk) with 12 laptops is located in the Student Center (3rd floor by Advising), also with 4-hour checkouts. Laptops must be used on campus and late fees apply. Be sure to bring your RaiderCard (GRCC Student ID).